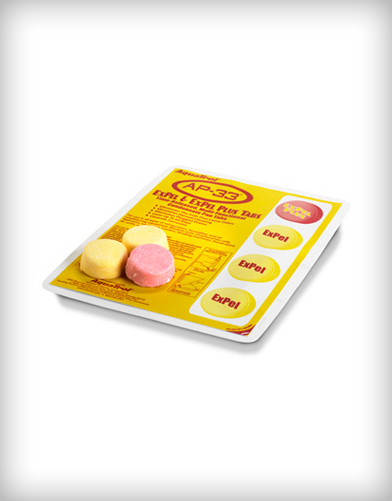 Multi-functional condensate pan tablets. 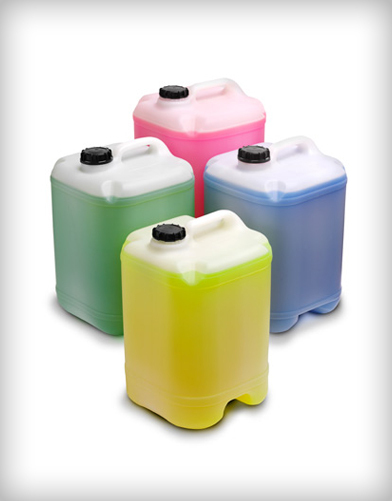 AP 33 Expel has been formulated with powerful quaternary ammonium chloride detergents, vapour-phase, film-forming corrosion inhibitors, and Source Odour Control (S.O.C) agents. 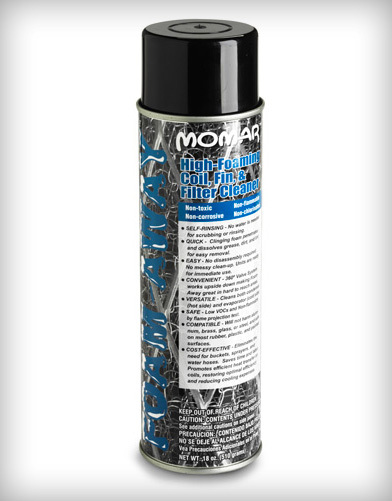 These tablets can be used in all types of refrigeration, humidifier, and air conditioning equipment. Perfect for use in window units, overhead fan coils, wall units, ice makers, coolers, vending machines, stand-alone AC units, and attic units. Apply 1 yellow Expel tablet per square foot of pan area and then 1 double-strength pink Expel Plus tablet with every third application.